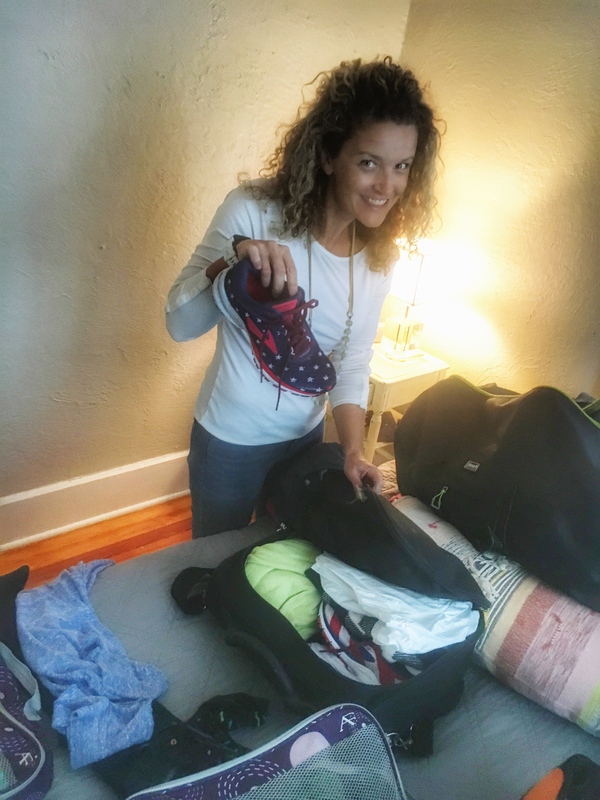 Lace Up Your Running Shoes: 26.2 in the Big Apple or BUST – Don't make me turn this van around! This is a quick post to let everyone know that we’re heading to New York this weekend where Monica will run the NYC Marathon as part of the John Ritter Foundation team. If you want to follow the action in real time, she’s starting in the 11am wave of runners. You can track her progress on the TCS New York City Marathon app and she’s bib # 55221. She feels great heading into race weekend. She’s had a little touch of allergy/sinus issues, but she really confident in her training. 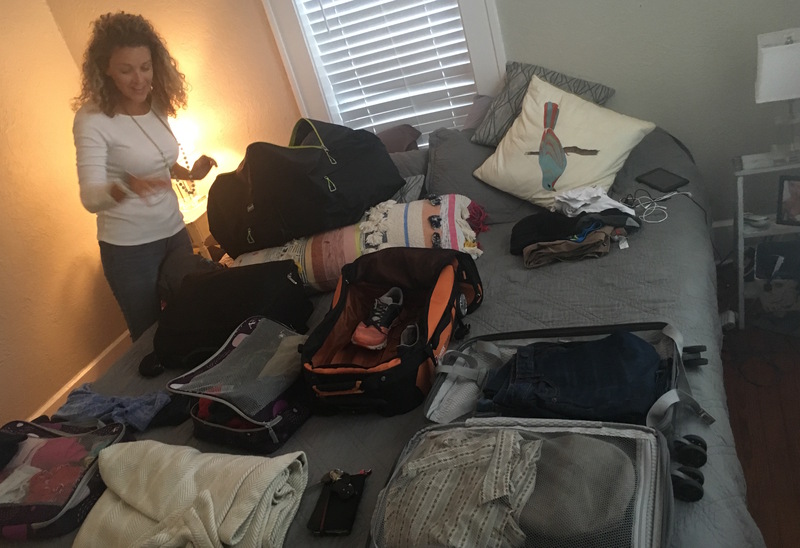 We’ve already established Monica’s love of packing. She’s got one huge bag of her warm clothes to be donated to Goodwill at the starting line. She’s got some star spangled New York style running shoes that she wants to be sure everyone knows represent America as a place that values freedom and provides refuge to the world’s least fortunate – and not the pseudo-patriotic flag-waving morally corrupted version that has forgotten our nation’s founding principles. I’ll try to post some pics on Instagram and Facebook, so check there for updates. I’ll close by adding that I’m so amazed by Monica, and I’m so lucky to call her my wife. Wish her luck!